In close future I'd like to buy myself a les paul. But whilst looking throughout all the options I noticed something, overall, the Epi Les Pauls are rated higher than the gibson ones, I am looking at the 800$ to 1199 dollar zone. The 665 les paul standard and the 832 les paul studio seem to be higher rated than 1199 (with discount) Les Paul Studio Faded, I have a question why, and I'd really appreciate if you recommended the best les paul in that price range in your opinion. I some what asked Henry J the CEO of Gibson this question.. here's is answer to me. In any case, our Epiphone Les Pauls, are real Les Pauls. Our plant manager in China was the plant manager in Nashville for a number of years and all our divisions work together to get the very best product for the price. Most Les Paul's come from our own factories in Quing Dao China and I believe they are superb instruments and great values. They do say Epiphone and our customer know what they are getting for their hard earned money. Are the Epiphones as good as Gibsons? They are not the same. We try to make guitar affordable at Epi so the material and construction is different. The tops are typically laminated and the wood is a specie called Nato. There are other subtle differences. Both are great instruments, but they are not the same. I think they are both great values and both are professional quality. I think what you believe is a lot more important than what I believe. There ya go! The Chinese Epis use cheaper materials and parts, cheaper methods, and cheaper labor - so they cost less...street price of $500 for the $832 one. Probably rated high by those who have them 'cause they think they are "good value". Personally, I couldn't get past the Made In China part, which includes the "cheaper materials, cheaper parts and cheaper methods...". 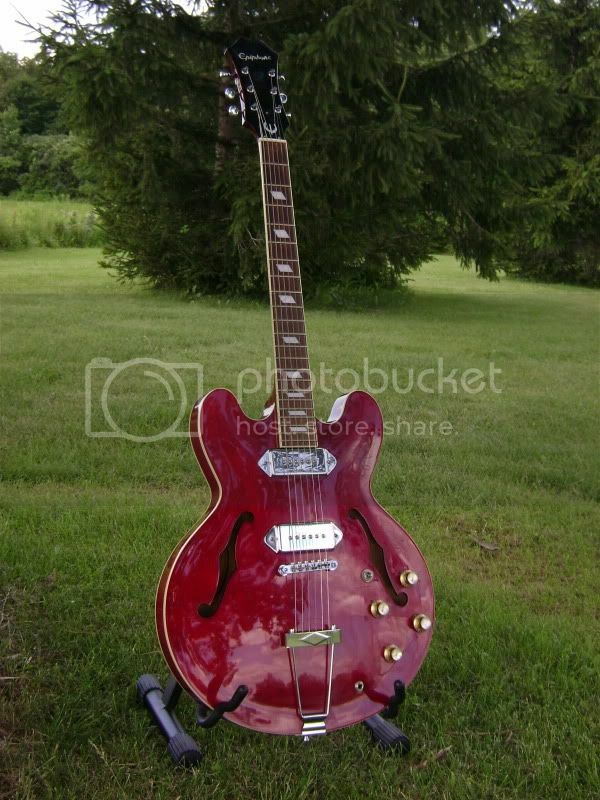 For $1000 I would recommend the Studio in Wine Red, and/or the 50s tribute for $800 if you can find one. Actually I think Henry J's statement was spot on! There is nothing wrong with epi's ......I have owned a few & all of them were actually extremely well put together. The differences are really purely down to the differing materials used in construction. Obviously to produce a Guitar at a lower price point some compromises must be made. Gib SG Supra/DC6C/CS6S/DC700C/Heritage H150/Ibanez Jem DNA & PAW Swirls/Yam SG1820LTD/Bogner Ecstasy Aniv/X100B IV/MTS/Bugera Trirec/H&K GM36/2 x Zilla 2x12 Cab/G System/Boss FV500H/Lehle S Driver/Blackstar HT Metal//Joyo Flange/Joyo Ult Drv/MXR 10 Band EQ/TC Trinity Rev/Joyo Phsr/TC Alt Ego Dly. Best cure for gear envy -- shut the hell up and play. There are a lot of Gibson copies made in Japan for that price range that seem pretty nice, like Tokai, Burny, Greco, Edwards, you can find them on Ebay. I would trust something made in Japan before I trusted anything made in China. Plus they have the same style headstock as the Gibson. Just a thought. Only problem is you can't try one out before you buy. A lot of the Edwards stuff (which is made by ESP) looks pretty nice. For me, no contest. Gibson all the way. The Epi would feel such a compromise, every session would start with a negative feeling. 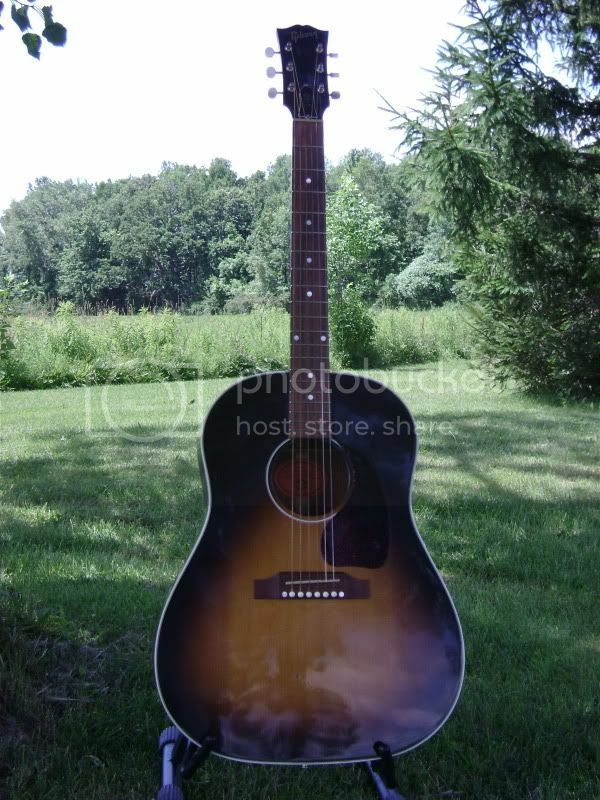 On the other hand, the Gibson would inspire me to pick it up and play. For there price , i think Epiphones are some of best guitars in there price range..I just got rid of my Epiphone Dot and I'm really missing it..Traded that and a 2004 American Fender Strat (w/worn frets) +50$ and got a brand new still in box Gibson faded flying V..I do not have any buyers remorse at all, and the V is an absolutley fantastic guitar. It plays much better then my old strat, and the tone is killer, but I'm really disappointed that i don't have my Dot anymore. 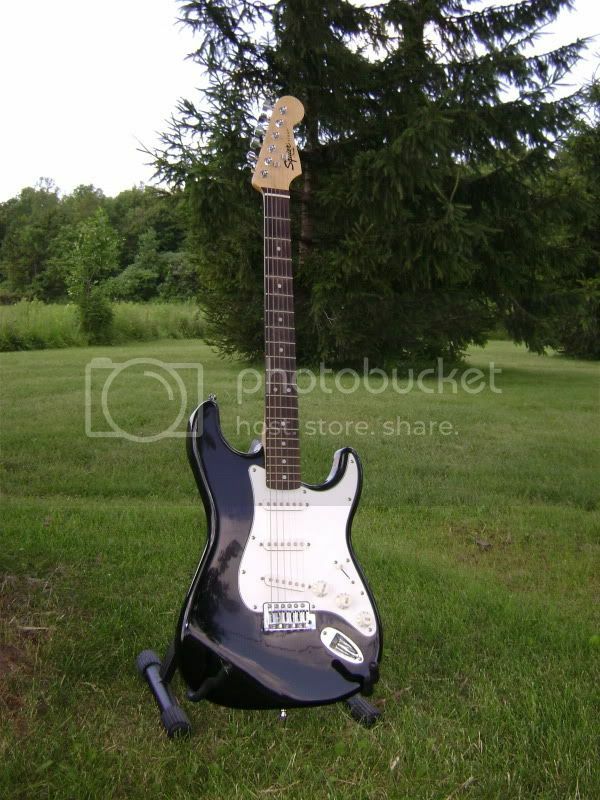 The reasons being, that it sounded incredible for the 350$ i spent on it. It sounded like a true semi-hollow, and played like a 1000$ guitar after a good setup. 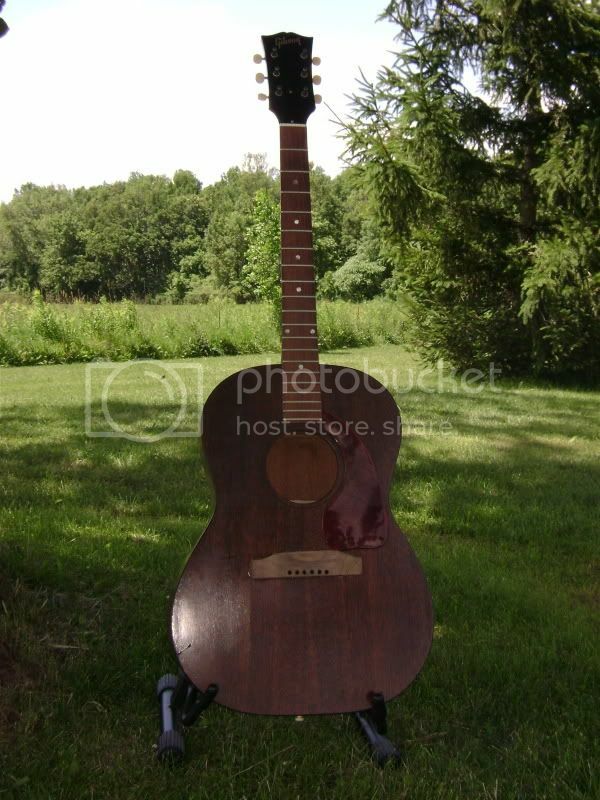 It would of been a great gigging guitar, and looked great on my wall. But do they play as well as Gibsons. IMHO, no they do not..None of the Epi Les Pauls i've tried had the comfortability and tone that a Gibson has. With Gibson you truly get what you pay for. I've never had an Epiphone sound as good as any of my Gibby's and vice versa. Maybe im biased but the onlly guitars i really enjoy from Epiphone, are the hollow and semi hollows, (Casino, Sheraton, Dot etc). For some reason there Les Paul type guitars feel much cheaper to me imo. Moral of this is you get what you pay for.. 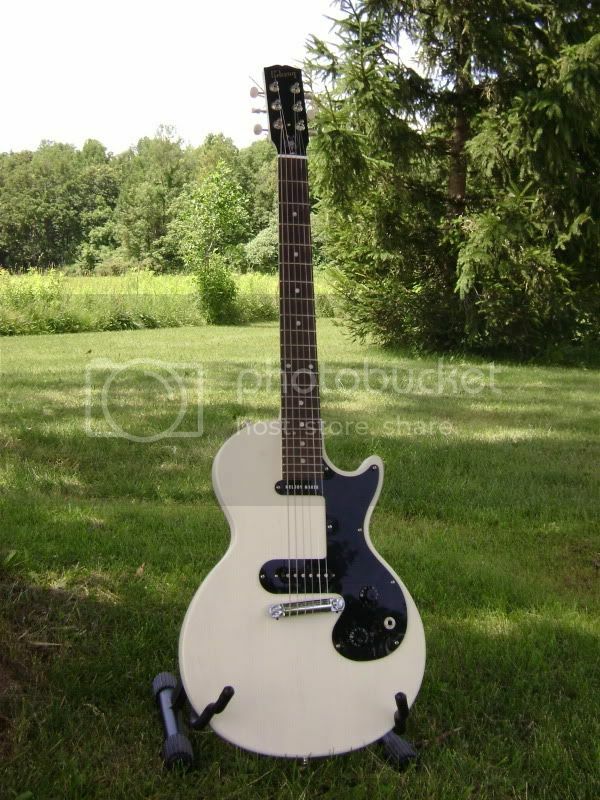 The way I see it, if you buy an Epiphone you actually really wanted a Gibson but the cost put you off. Nothing wrong with that. If you don't have the money, or have it but can't justify spending that much on a guitar, you'll just have to settle for less. That's life. 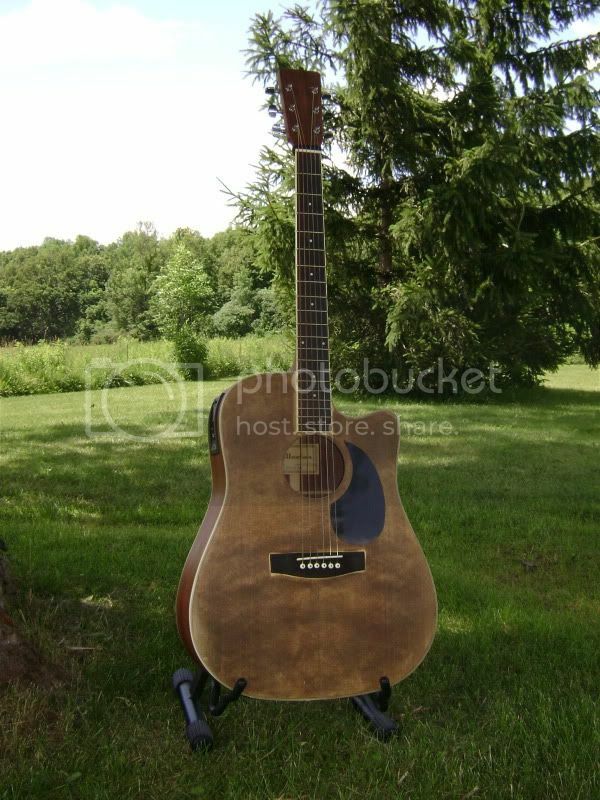 But I personally would save up a couple of months more and/or buy used and get a Gibson right away. I just know I would eventually want one anyway, so going straight for it will end up being cheaper. And you will be happier. I'm another who has owned several Gibbies and Epi's over the years. Currently I've got a Gibson Les Paul and a Epi LP Ultra II which I use use in those places I don't feel safe playing my Gibby. The Epi LP is a very nice guitar for the money ($750 new) with a mahogany body (yes, that's the spec), as well as an acoustic pup (nanomag) - it plays great and sounds good. 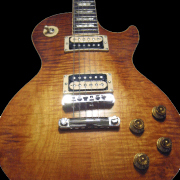 But, the Epi LP is no where near the quality of my Gibby LP - build quality, sound quality, playability and craftsmanship. Plus 1 on this. I've had Orvilles, Grecos, and currently have an Edwards LP custom that just rocks. quality hardware, and electronics. The others were great as well. I still have 2 Gibbys I love dearly. Just throwing my 2 cents in here. I have to agree with what everyone else has said so far. 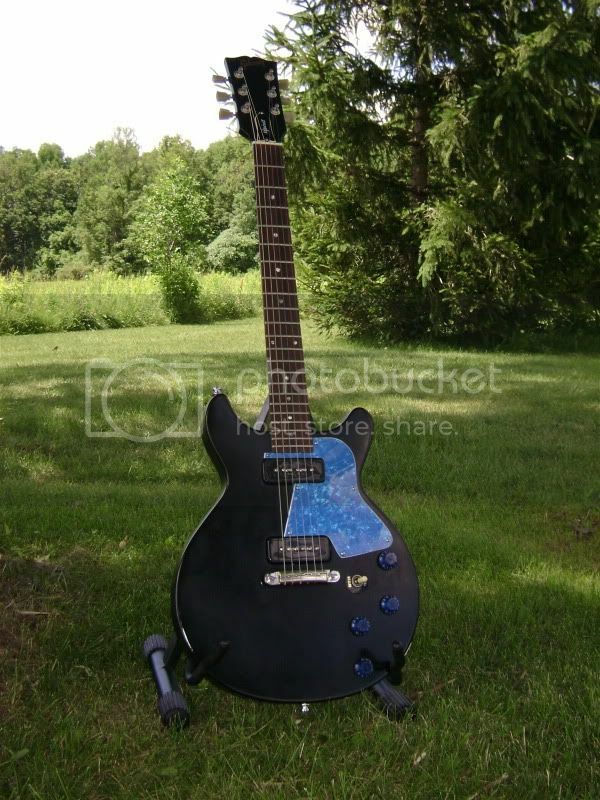 I have a Les Paul standard and I recently bought my boy and epiphone standard for $500. He's just learning to play so I didn't wanna dump a lot of money into a guitar till I knew he was gonna stick with it. There is definitely a difference in sound and feel between the two. My Gibson has a brighter, cleaner sound than his epi. Not that his epi isn't a good guitar. In fact, I've actually used it on a couple of recordings just because it has a nice crunchy sound to it. For the money, you can't beat it. But I wouldn't trade my Gibson for one. There's really no way you can ask that question and get a good answer. Gibson owners will justify their purchase, Epiphone owners will defend theirs. They have to defend the money they've spent, and are often emotionally attached to the instruments. There are differences in quality, obviously, and on paper, a Gibson is a better guitar. 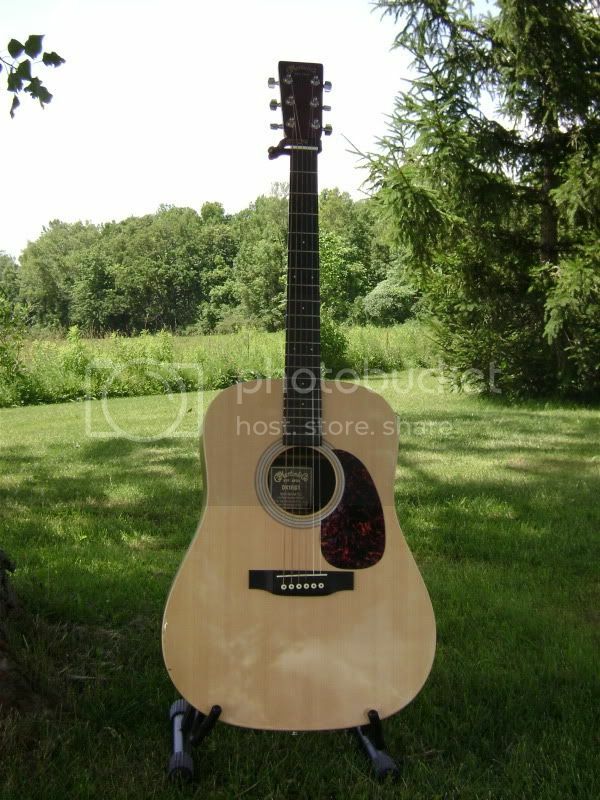 That said, a good guitar is a good guitar, regardless of where it's made or what it's made from. There are bad Gibsons, there are bad Epiphones, and there are great examples of both. I'd rather have a great guitar from anyone than a bad one that has a "better" name on it. 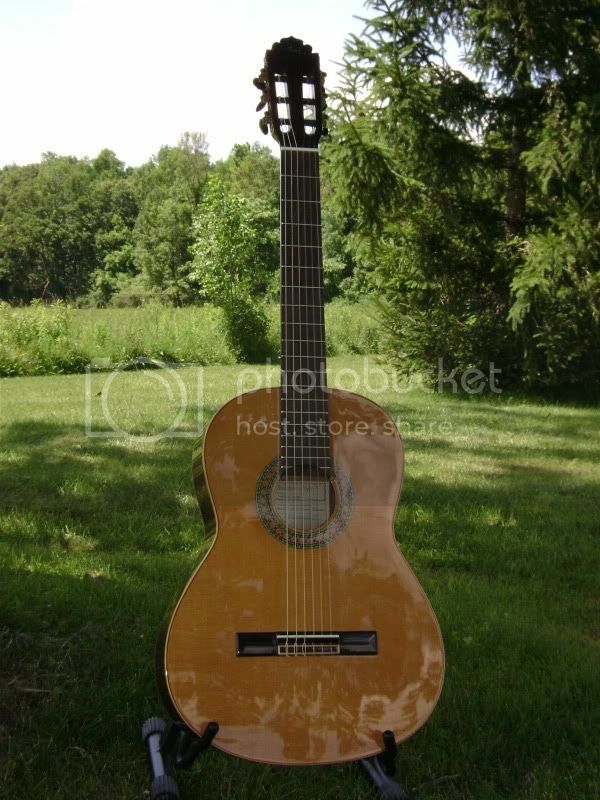 My guitars range in price from $100 to $2300 - they're all quality instruments. It's not about what it's made from or who made it, but about how it sounds and feels. You can get romantically attached to the idea of your guitar - it's from a company with history or whatever you want to think about - but don't let that override how it actually sounds. I get excited sometimes when I pick up my J-45, but it's because of the way it sounds at that moment. It doesn't happen every time, regardless of the history of Gibson or the guitar itself. sorry but, to say there are both good and bad gibsons and epis and therefore one is just as good as the next is just outright silly. there are far more examples of great gibsons than epis owing to the methods and materials used to craft them. Ask gibson and they'll agree - the bell curve just sits higher for gibsons than for epis, and I would wager the variation (ie. QC) from one to the next is narrower for gibson as well at least on the bottom end (ie you're not as likely to get a dud but when you get a poor quality Epi there are few guitars that bad). of course people are emotionally attached and feel they must defend their purchases etc. but the simple fact remains. If you can justify spending the dough on a gibson do it and you can be pretty certain it will be a superior quality instrument. If you can't justify it or afford it, get an Epi which is still probably better than competing guitars at similar price points. My suggestion if your budget is tight however is - get a gibson LP Studio - fantastic guitars for the price & far better than any Epi. I never said one was as good as the other - I said to worry more about how they sound and not about what they're made from. i bought an epi 7 years ago thinking o I can save some some a few months in traded it and bought an lp standard. If you can get a older tokai, orville they can be a really nice. The epi sounds good for the money but the fretboard felt cheap on the one i had but was a ok guitar, but the gibson was a whole different beast. As a Brit & able to take a subjective view.....not so sure about that one! LOL!! I had an Epi and, like pretty much everyone else in a similar situation has said, it was a lovely playing, looking and even sounding guitar for the price. Gibson LP's, on the other hand, really are a higher quality product and are priced accordingly. If I were in the situation where I wanted a first Les Paul but had limited funds I'd buy a s/h Studio over a new Epi everytime - regardless of how much prettier the Epi might be. On the things which really matter the Studio beats the Epi hands-down.